Tyler Tessier shot his pregnant girlfriend once in the head, because he was afraid he had buried Laura Wallen alive, according to prosecutors. ROCKVILLE, Md. 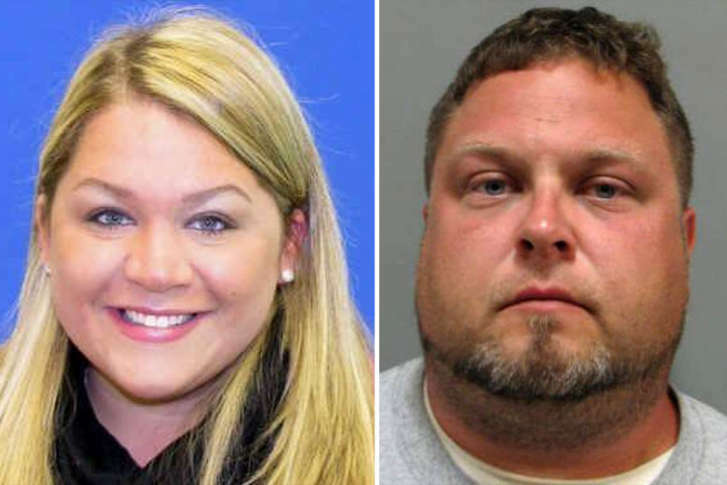 — Tyler Tessier shot his pregnant girlfriend once in the head, because he was afraid he had buried Laura Wallen alive, according to Montgomery County prosecutors. Tessier is charged with first-degree murder in the September 2017 death of Wallen, a teacher in Howard County. In a recent motion opposing a defense request to suppress statements Tessier made to detectives, State’s Attorney John McCarthy and assistant prosecutors Donna Fenton and Mary Herdman detail Tessier’s changing descriptions about what happened to Wallen, with whom he was in an on-and-off relationship. In the days after Wallen’s family reported her missing Sept. 4, 2017, Tessier consistently claimed he had never hurt Wallen. On Sept. 11, appearing with Wallen’s family, Tessier pleaded for her safe return. Prosecutors said Tessier admitted driving Wallen’s car twice, and had disposed of her vehicle’s license plate and her cellphone. “He told detectives this was all done at Ms. Wallen’s insistence because she needed to ‘disappear,'” Fenton wrote. Tessier told detectives Wallen was upset because she was having another man’s child and she was concerned she would lose her job over the relationship. In addition, Tessier admitted that he sent text messages from Wallen’s phone to her sister, pretending to be Wallen, on Labor Day. On Sept. 13, Wallen’s body was found in a shallow grave in a field in Damascus, a short distance from the home of a friend, where Tessier was staying. According to prosecutors, after the discovery of Wallen’s body, late that afternoon, Tessier was arrested and taken into police custody. After being read his Miranda rights, detectives Mark Janney and Katherine Leggett interviewed Tessier. “After initial denials, the defendant stated that he and Ms. Wallen had been kidnapped by several African-American men in Olney at Ms. Wallen’s home, they were forced to drive to the field in Damascus in the defendant’s vehicle, where the men proceeded to shoot Ms. Wallen,” Fenton wrote. Ultimately, Tessier recanted, and acknowledged getting into a fight with Wallen at his temporary residence. “The defendant stated he did not call for help and that he believed she had died from striking her head on the porch post,” and he buried Wallen in the field, on Price’s Distillery Road. “When he grew concerned perhaps she was not deceased and that he had buried her alive, he stated he shot her once in the back of the head, to ensure she wasn’t suffering,” according to prosecutors. Earlier, Tessier’s co-counsel and public defender Allen Wolf said detectives violated Tessier’s constitutional rights by continuing to ask him questions without his lawyer present, even though police were aware he had representation. In their March 23 filing, prosecutors dispute that Tessier’s right to counsel, and right against self-incrimination were violated. Tessier’s 10-day trial is scheduled to begin Sept. 4. If convicted, McCarthy has said he will seek life with no chance of parole for Tessier.